From the very beginning of our chess club, we have observed that chess is a perfect way to connect to the world around us. 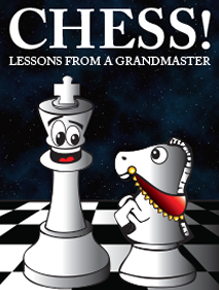 Through this game, which can be played by people of all ages and all skills, we developed a philosophy of playing chess as part of delivering service and philanthropic gifts to the community. Whether we spend a little time playing chess with residents of a rehabilitation center or patients at a hospital, or provide concessions at a local chess tournament to raise funds for disaster relief, a child needing medical care, or a family whose house has burned down, our chess clubs are capable of great things! We started by bringing our players to local nursing homes, and discovered the joys of playing chess with residents who looked forward to our visits. Through chess, a fun way to provide service happened for us. We have donated hundreds of volunteer hours playing chess as nursing homes, hospitals, and rehabilitation centers throughout the area. Our members encountered people who needed a little help. At our chess tournaments, we sold concessions to raise money to help out. At our clubs and camps, we set aside a little extra to help others. Since we have started, we have donated almost $30,000 to help others in need. As we are learning to play chess, we are learning that we can also play our way to delivering valuable service to our community. Chess is a vital way for us to connect personally with other members of our community.